Changing a vehicle´s engine oil helps to regulate engine operating temperatures by replacing old, worn-out engine oil that cannot effectively absorb engine heat, with new, high-quality engine oil that effectively absorbs engine heat and helps to regulate engine operating temperatures.%u2028%u2028As a vehicle engine operates, microscopic engine wear particles are created that get picked up by the engine oil and transported to the oil filter. 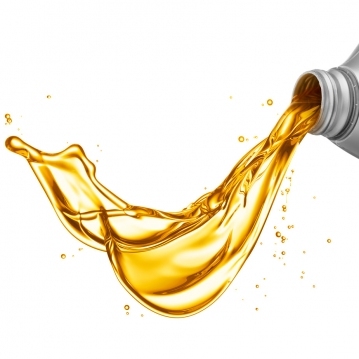 Changing a vehicle´s engine oil ensures that engine wear particles are removed. Fresh oil is better able to absorb and transport engine wear particulate. Engine sludge--a combination of degraded engine oil, engine wear particles and dirt--can be highly damaging to an engine. Changing the oil removes engine sludge and helps maintain peak engine operating efficiency.%u2028%u2028Due to the constant motion of an engine´s internal parts, engine friction is created, which increases engine operating temperature and reduces engine life span. Clean, highquality engine oil is better able to reduce engine friction and absorb engine heat. What is the right grade for my engine? Using the correct grade is crucial to keep your engine functional and to insure proper lubrication. We’ve all seen or heard of 5w-30, 10-w40 and SAE 40 before, but for many of us we have no clue what those viscosity grades mean or even that they are called viscosity grades. Let me help explain how the manufactures of oil came up with these wacky numbers. Motor oil lubricates engine components and cuts down on friction. Friction causes increased heat (which increases wear) and the engine parts to slow down. Motor oil creates a small barrier or film between the parts in order for them to slide past one another. The slippery portion of parts increases efficiency, power and performance. Another important thing to note is that properly lubricated oil uses less fuel than one that isn’t properly lubricated. Have you ever had your vehicle fail a smog inspection just because your engine oil was dirty? It can happen. If an engine is not running efficiently, it causes more fuel contaminates to enter your oil, which will cause it to fail smog as it will emit those contaminates into the air. One more piece of the puzzle to consider is when your car’s engine isn’t running. You ask, how that will cause problems, well it can. When the engine isn’t running, oil drips off the engine. That’s why the majority of engine wear comes from start up. Less lubricant on the engine, more friction and more friction equals more wear. Not using the correct grade of oil for your engine will increase the wear during start up. So again, check with your owner’s manual or local dealership to inquire about your engine´s correct oil grade. Taking care of your car’s engine will keep you rolling and lessen the burden on your wallet.